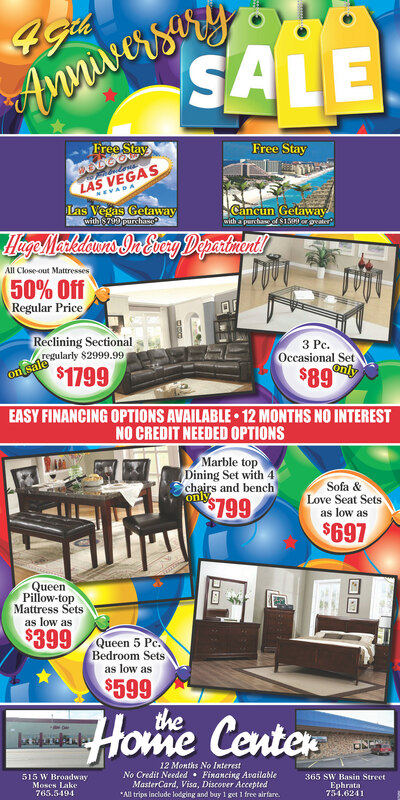 49th Anniversary Sale – Only at The Home Center! Can you find another group of stores that can say that? And to celebrate, we’re offering “Rolling Sales” all month long. What’s for sale THIS week, you ask? EVERY MOTION SOFA/ LOVE/ AND RECLINER, 50% OFF THE REGULAR PRICE THRU MARCH 30TH. YES!! EVERY MOTION SOFA/ LOVE/ AND RECLINER! We can save you lots of money and send you home with beautiful new furniture.